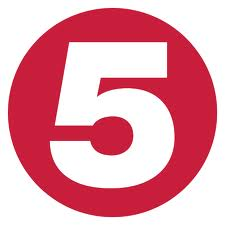 Channel 5 is now officially under the ownership of US media giant Viacom, with the £450 million sale from Daily Express owner Northern & Shell complete. Without any competition concerns, Viacom was given an unconditional approval by the European Commission to seal the deal. As part of the changes, Channel 5 and Viacom's pay TV channels have started jointly commissioning content. Channel 5 and MTV have commissioned a new reality show 10,000 BC, where participants will "go back to life in the stone age." Meanwhile, Channel 5 and Nickelodeon are working together to develop animated series Nella the Knight. Earlier this year, when the deal to buy Channel 5 was announced, Viacom was reported as confirmed that the network would receive a larger budget for programming. How the deal will affect distribution arrangements remains to the seen; Viacom is currently holding six Freeview slots (Channel 5, 5+1, 5+24, 5*, 5USA, VIVA) alongside a large portfolio of pay TV channels on satellite and cable. Importantly, there's been no public announcement on whether the takeover by Viacom will herald the roll-out of Channel 5 HD on free-to-air platforms; it's the only main network channel currently not distributed in high definition on either Freeview or Freesat. Previous owners Northern & Shell has snubbed their Freeview HD slot in favour of distributing the HD channel behind a paywall. Their Freeview HD slot was subsequently used to increase the number of BBC HD channels on Freeview.